I am a man. Therefore, it is imperative that I understand certain things about being a man. What sort of things does this include? Change a roll of film. Brew a good pot of coffee. In fact…I think everyone should know these things, not just us guys. You know why? Because, lets face it, women look fantastic in ties. That being said, people should know how to tie a tie. I first seriously contemplated my lack of tie tying knowledge when a photographer friend of mine (dressed-to-the-nines in a fashionable grey suit) helped put on a political debate between two senatorial candidates. Needless to say he looked great but was having serious tie trouble. In the end, a female friend of his fixed him up. What: This event ultimately led me to discover the not-so-secret art of tying a tie. I did so here: Tie-a-Tie.net. When: The site was begun in 2003 and has been helping people know what they heck to do with a tie ever since. Where: In case you missed it the first time: Tie-a-Tie.net. Why: Because every fashionable person should know how to tie a tie. Ties look good which means they can help you look better. 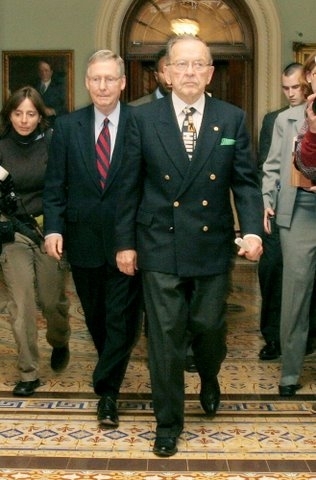 Besides, our state’s (Alaska) late great former senator Ted Stevens went to Congress in a Hulk tie. Oh yeah, when he put the tie on you knew this guy meant business. AP Photo/Lauren Victoria Burke.